The first look of Nara Rohith’s new movie is released on the mark of the hero’s birthday. 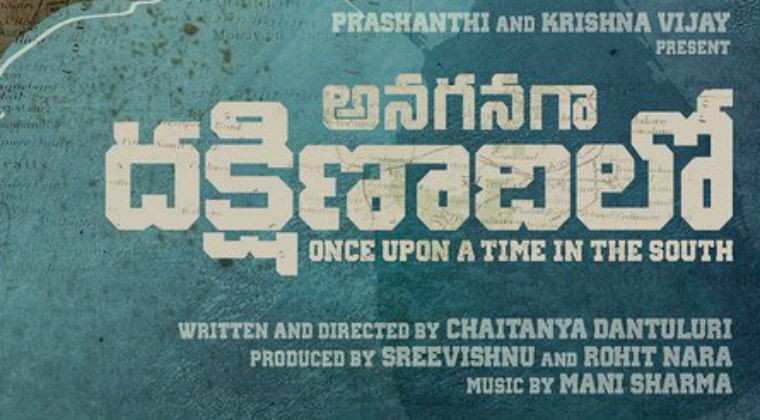 The film is titled ‘Anaganaga Dakshanadhilo’ and it will be directed by Rohith’s debut film director Chaitanya Dantuluri. Nearly after a decade Rohith and Chaitanya are coming together and yet again they have preferred to do a content based film. The first look also reveals the film is about an unknown battle back in 1971 and might be based on the India and Pakistan war. Mani Sharma will compose whiel Nara Rohith and another Sree Vishnu will be bankrolling the movie under Aran Media Works banner. The regular shooting of the film will begin from January 2019.